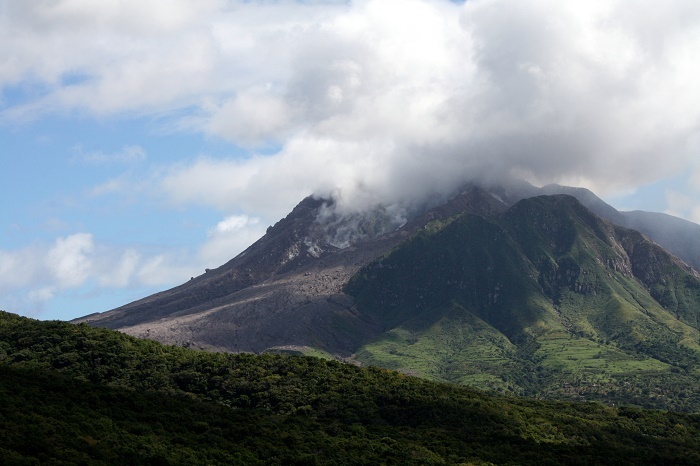 Soufrière Hills is an active, complex stratovolcano with many lava domes forming its summit, located on the Caribbean island of Montserrat. 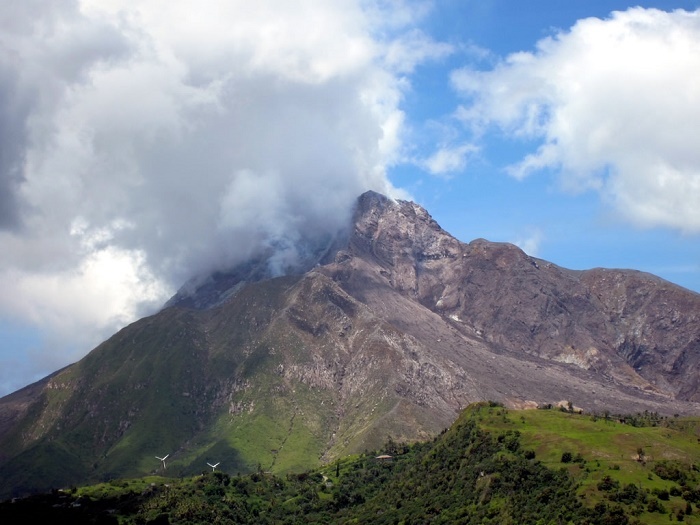 After 350 years of quiet, it came back into life in 1995 and started to build a new lava dome. 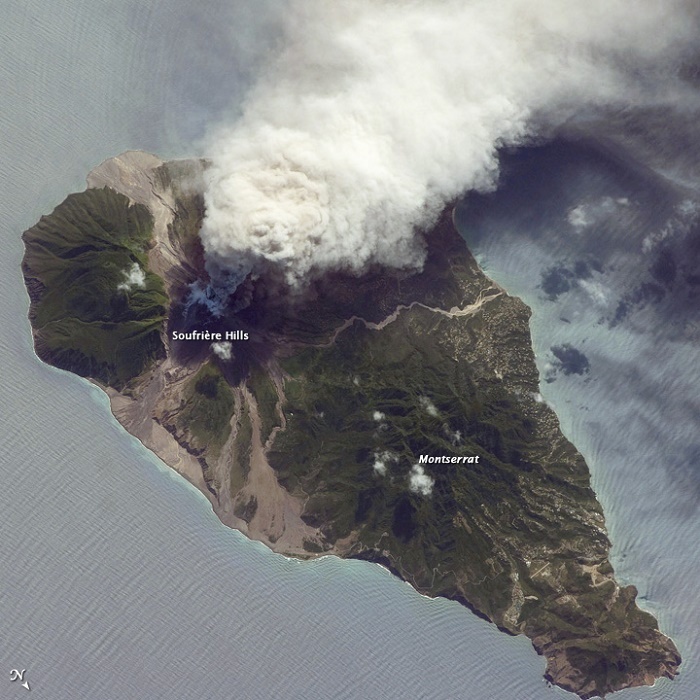 This is the first eruption of the volcano in historic time. 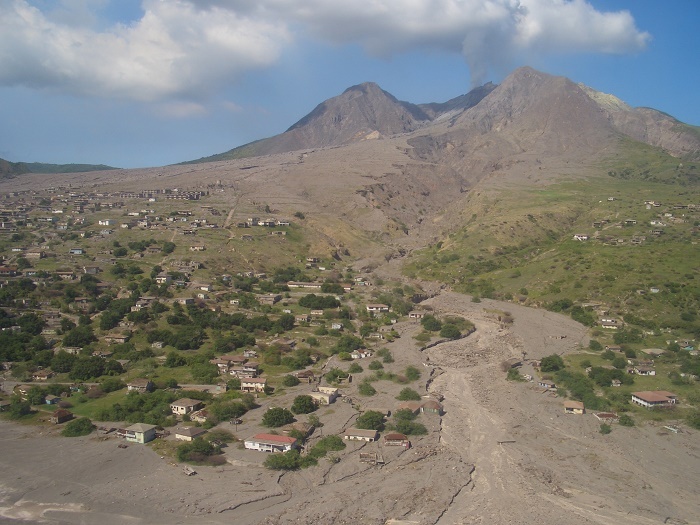 The eruption alternated between less or more intense phases including rapid dome growth with associated powerful vulcanian explosions and large pyroclastic flows from dome collapse. 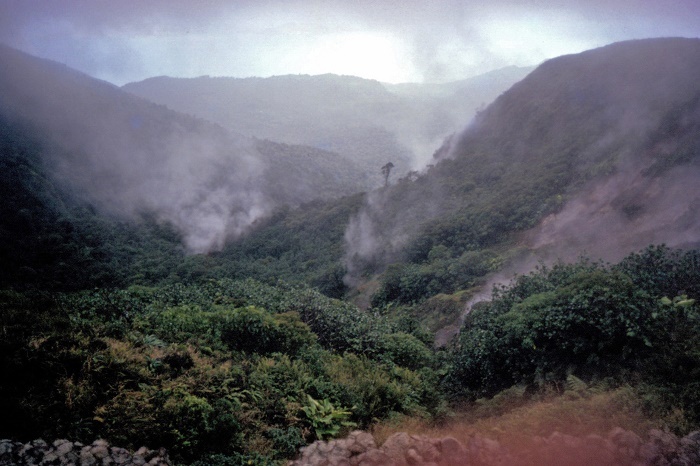 It should be noted that the eruptions are still lasting, and because of them, more than half of the island is uninhabitable, where also the capital Plymouth was devastated. 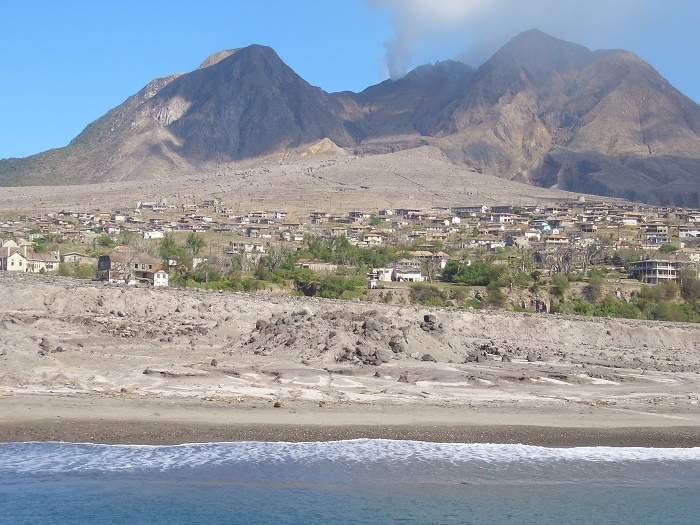 After the first eruption, many of the inhabitants have left the island, and the southwestern side of the island is covered with ash and lava, as well as the capital. This has forced the islanders to build a new capital naming it Little Bay, and will be located on the northwestern part of the island. Nonetheless, the airport was destroyed as well, so new airport is being built close to the new capital. 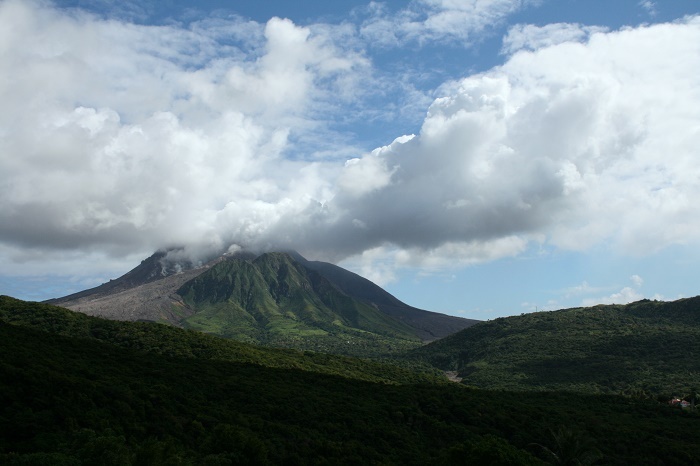 The volcano is named for the French word soufrière, meaning “sulfur outlet”. 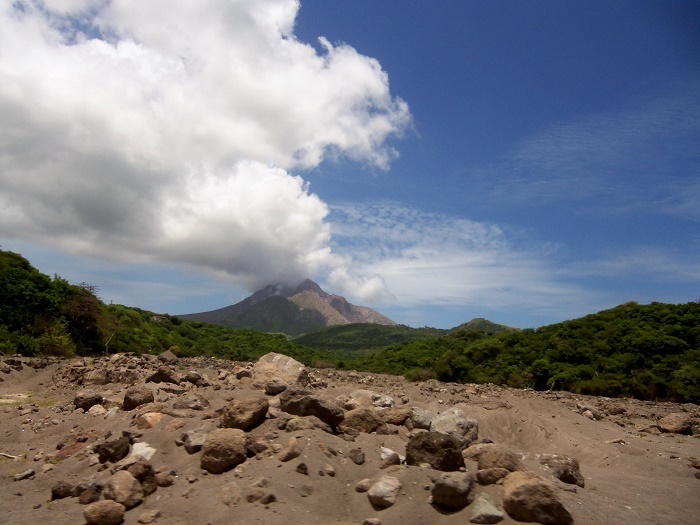 The Soufrière Hills Volcano produces andesite lava which is so thick that it cannot flow, it therefore piles up in the summit crater and builds a lava dome. 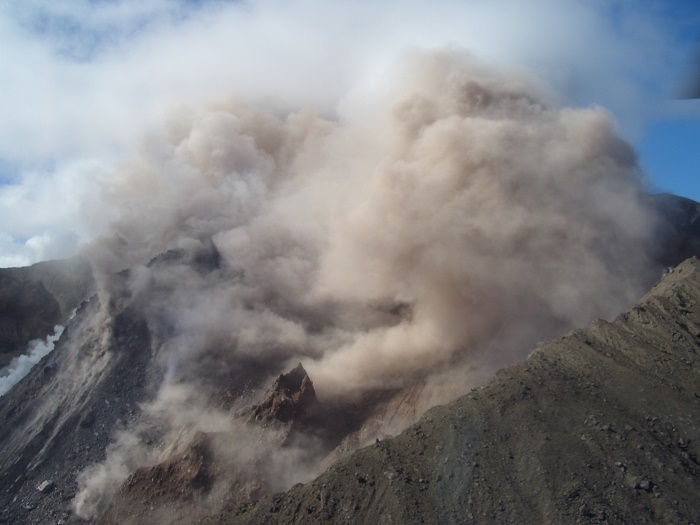 If parts of the lava dome become unstable they may collapse forming hot, fast-moving avalanches of lava blocks, gas and dust called pyroclastic flows. 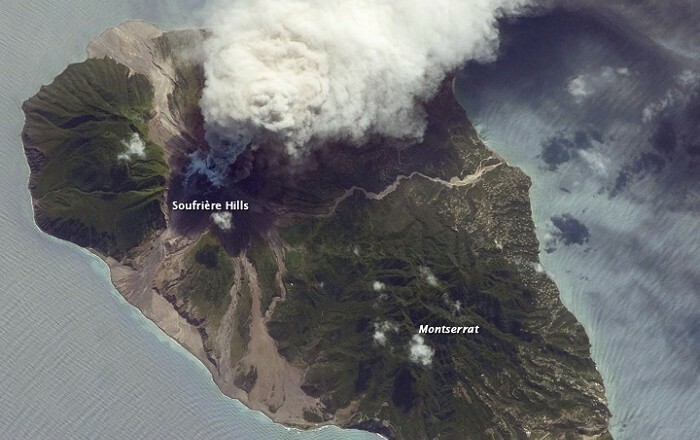 The Montserrat Volcano Observatory’s seismic monitoring is continuous, and they have reported many vulcanian explosions that occurred after its first eruption. It is really sad to see how the island is being destroyed by the planet Earth, but it simply allures you to be a witness of that kind of devastation.